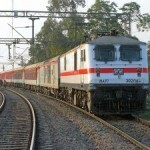 Indian Railways Rail Tourism India has introduced Chennai Sabarimala Special Train Package Tour 2011-2012. The 4 day and 3 night train package includes accommodation food and road transport. The package starts from Rs. 1890 for each person. Appam Aravana costs more !